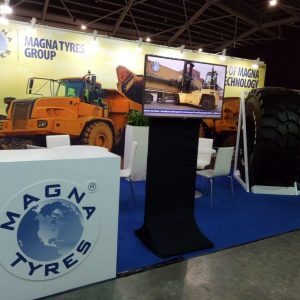 very successful for Magna Tyres! 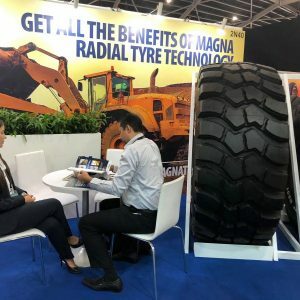 Home › First 2 days of Tyre Expo Asia 2019 very successful for Magna Tyres! 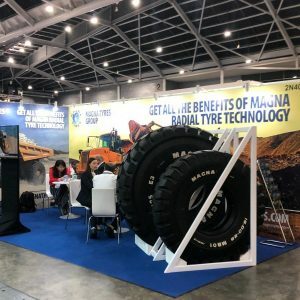 First 2 days of Tyre Expo Asia 2019 very successful for Magna Tyres! 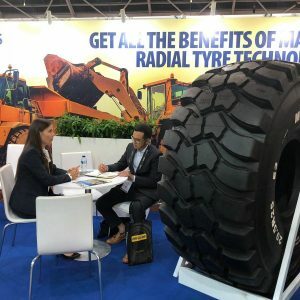 This first 2 days of the Tyre Expo Asia were very successful! 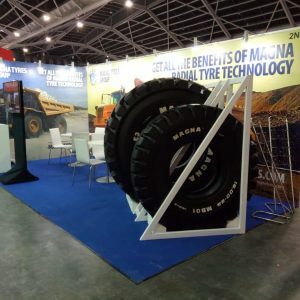 During this exhibition we are showcasing our Magna MA02 that is designed for use on wheel loaders, articulated dump trucks, scrapers and dozers. The sidewall protection and flotation are enhanced by the wide shoulder design. Further we will showcase our Magna MB01 that is designed for use on container handlers and reach stackers. The sidewall protection en flotation are enhanced by the wide shoulder design. Tomorrow is your last chance to visit us at stand 2N40. 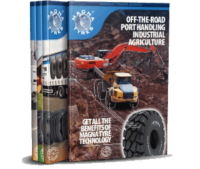 We would be please to inform you about our extensive premium quality tyre range. Do not miss the opportunity! 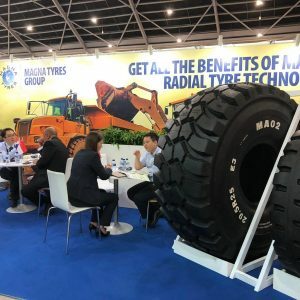 Tyrexpo Asia is Asia’s leading exhibition for tyres, automotive repair equipment, tools, parts and accessories, set to gather about close to 6.000 industry players in the Asia Pacific. 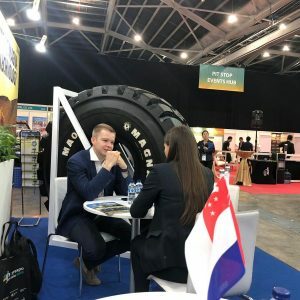 Asia is at the beachhead of the global tyre market, with emerging economies especially is Southeast Asia driving both demand and supply for the trade. 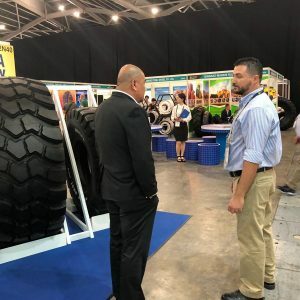 With it’s strategic location at the crossroads of various markets of tyres, garage and automotive aftermarket in the region, Singapore as host plays a crucial role in the future of these trades in Asia.